Blue centrefeed rolls, otherwise known as blue roll is an essential for anybody working in the food industry. The roll is big and absorbent making it great for drying hands and for cleaning up spillages. Its blue colour makes it easy to spot should any of it end up in food, alerting you quickly that the food has been contaminated. 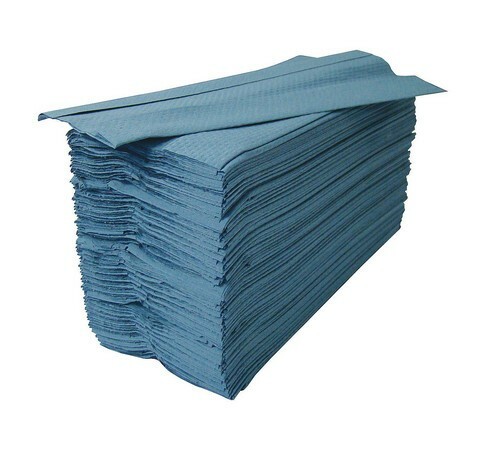 Blue roll can be used in conjunction with a blue roll dispenser making it easy to access and tear off. Also great for draining or drying food or items on. Manufactured from high quality materials you can rest assured that blue roll will do the job it is intended for quickly and accurately. This particular roll is 144 metres in length with 2ply sheets.